Dal vada recipe – How to make mixed dal vada in South Indian style using moong dal, chana dal and urad dal. To make festive time fun-filled and special, most of us prepare toothsome foods. 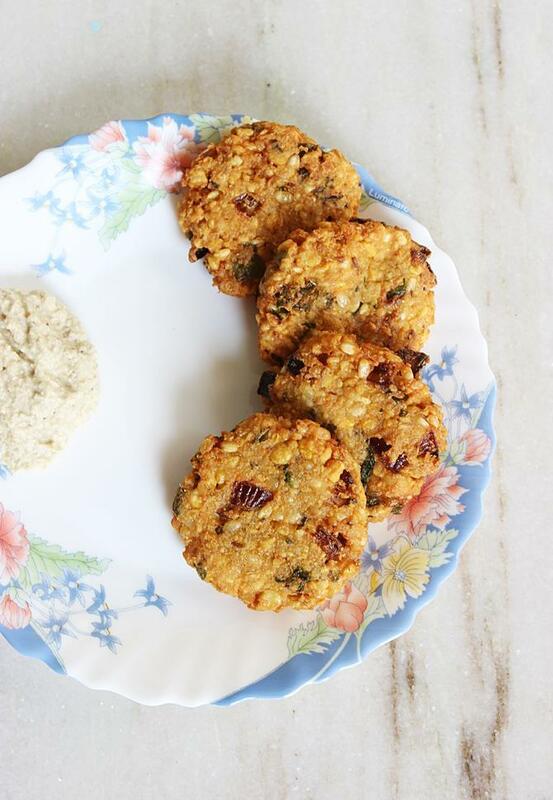 Mixed dal vada can be made during any festivals or even as a tea time snack during the monsoon. I got to learn this dal masala vada recipe from my mum when I was home in India during this June. Monsoon was underway in our region, with wind storms and showers. 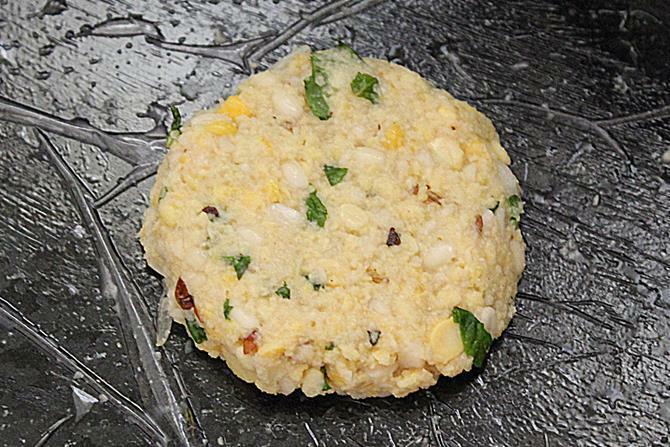 To make mixed dal vada recipe, you can use any dal / lentils. We used moong, urad and chana dal to make these delicious crispy vada. You can use any variety of split lentils to make these and flavor with whatever you desire, like a bunch of drumstick leaves, spinach or methi or coriander leaves. We just went ahead with a mix of coriander and mint/pudina leaves. 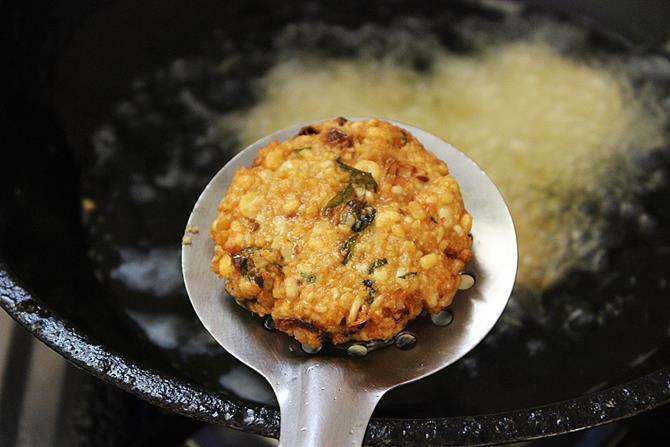 These dal vadai do not soak up much oil since the ground mixture is made to a tight consistency. These vadai can also be offered to the Gods during any puja, just skip the onions, ginger, garlic and chilli. 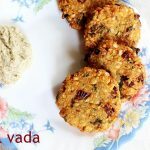 These dal vada are best served with a good Chutney like coconut chutney, mint pudina chutney or green chutney. 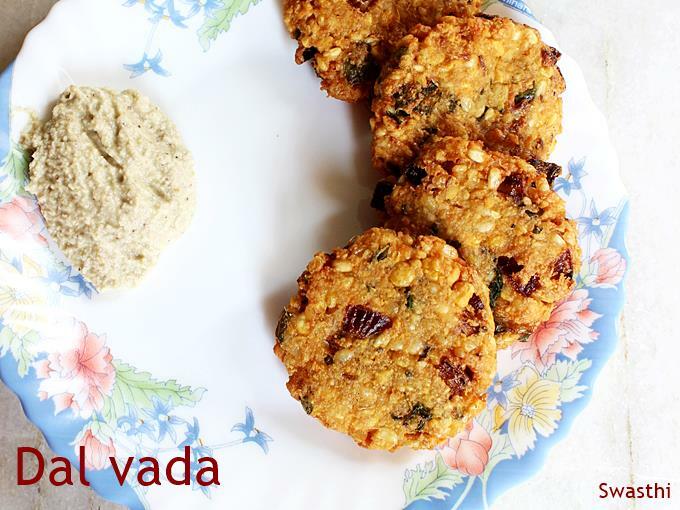 Mixed dal vada recipe – Vada are deep fried patties usually made of lentils. 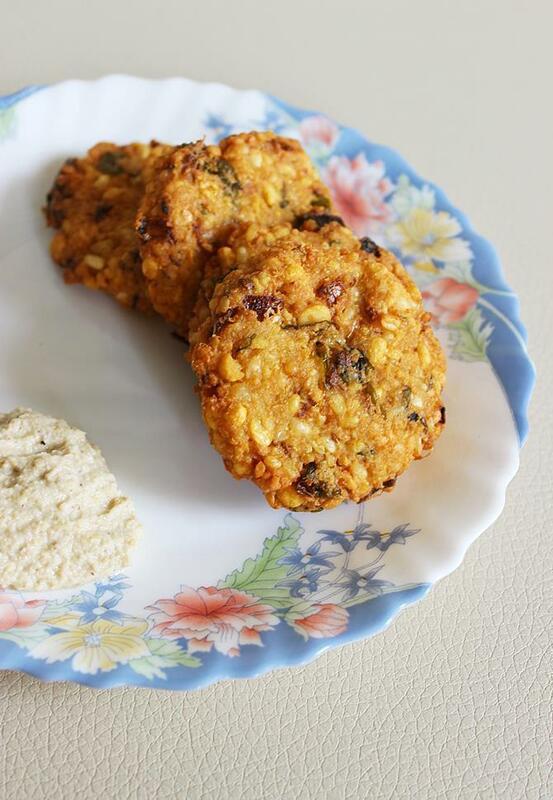 These dal vada are made of urad, chana dal and moong dal. These are aromatic, crispy and taste delicious. These can be served with any chutney. Coarsely blend red chili and cumin. This step is optional, used to give a nice color. Wash and soak all lentils for 2 hours. Drain water from the lentils and rinse them well. Keep aside 2 tbsp of the soaked dal separately. Add the rest of the lentils to a blender jar and blend to a coarse paste. If required sprinkle little water while blending. To the ground paste, add garam masala powder, green chilies, ginger garlic paste, coriander mint leaves, onions, coarsely crushed red chilies and cumin. Mix well. Pick up small portions, shape them to small balls, and flatten on a greased sheet. Check if the oil is hot by dropping a small portion of the mixture. It must rise slowly without browning. Transfer the dal vada on to your greased fingers and drop in the hot oil. You can drop 2 to 3 vadas in one batch, depending on the size of the pan. After 2 mins, flip the dal vada around to the other side. Fry till golden and crisp. Remove and drain them on a kitchen tissue. Repeat making vadas and frying till you finish the ground mix. Serve mixed dal vada hot with your favorite chutney. Do try this dal vada recipe with a cup of tea for evening snack or as a side dish to your rice rasam and vegetable. 1. Soak all the dals for about 2 hours together or separately however you wish. 4. 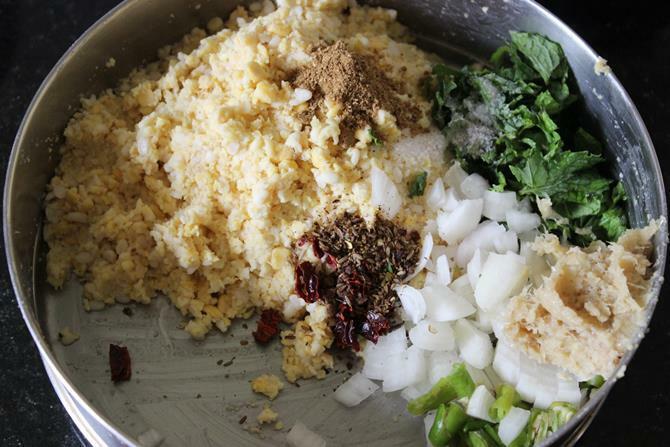 Grind the rest of the daal to a coarse mix, if needed sprinkle some water. Transfer this to a mixing bowl. 5. To the mixing bowl, add daal that was set aside, chopped onions, green chilies, garam masala, ginger garlic paste, coriander mint leaves, coarsely crushed red chilies and cumin. 6. Mix everything well. The mixture must be moist and must bind well when you make a vadai on a plastic sheet. 8. 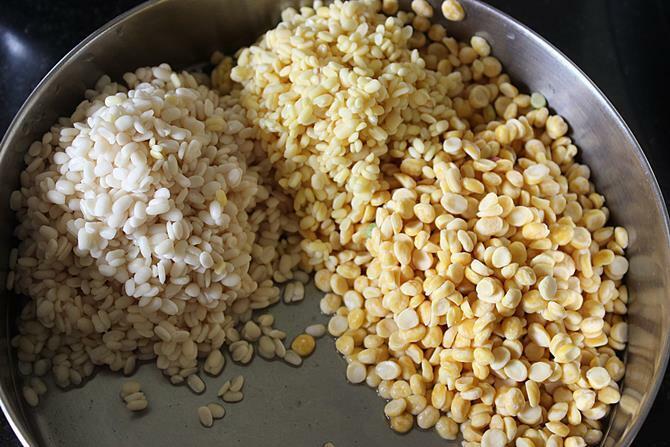 Grease a cling wrap or a foil or a plastic sheet, take small portions of this mixture and make small balls and flatten them on the sheet.If the vadai fails to bind well, it means dal hasn’t been blended enough. you can pulse it a couple of times. 9. When the oil becomes hot, Grease the fingers on your right hand, lift one corner of the sheet, transfer the vada on to your fingers and drop them in the hot oil. You can make these in batches of 3 to 4. 10. Flip it and fry till golden, drain them on a kitchen tissue. Serve mix chana dal vada hot with your favorite chutney. 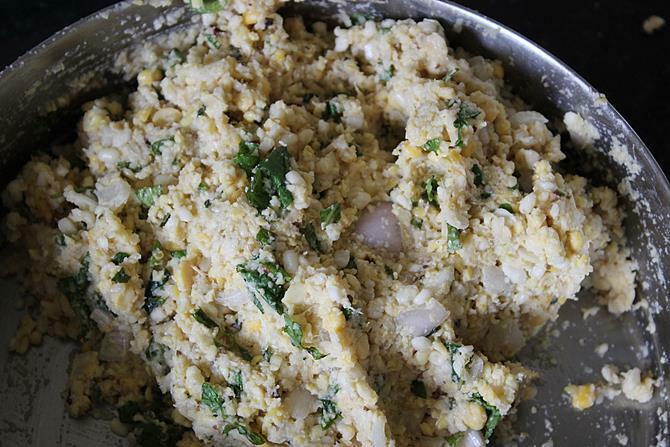 Yes you can made without onion, garlic and green chilli too if making for prasad.